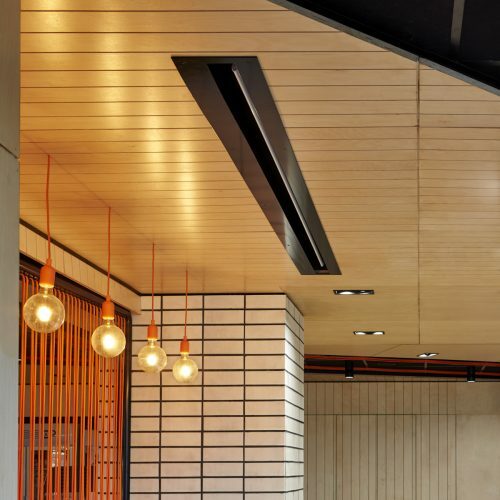 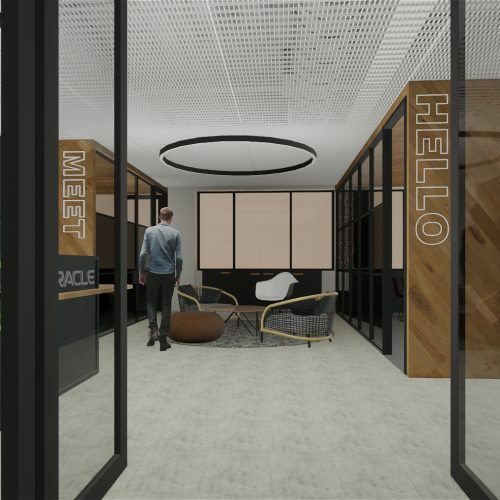 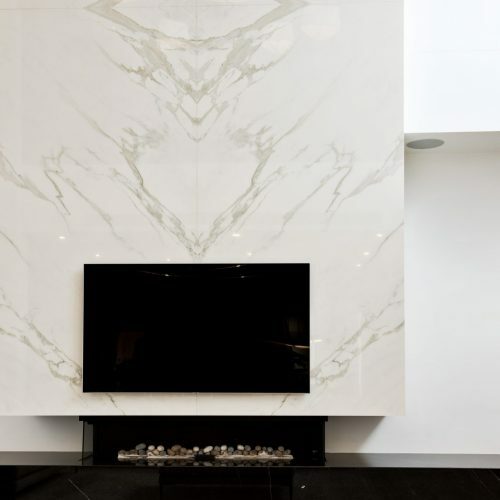 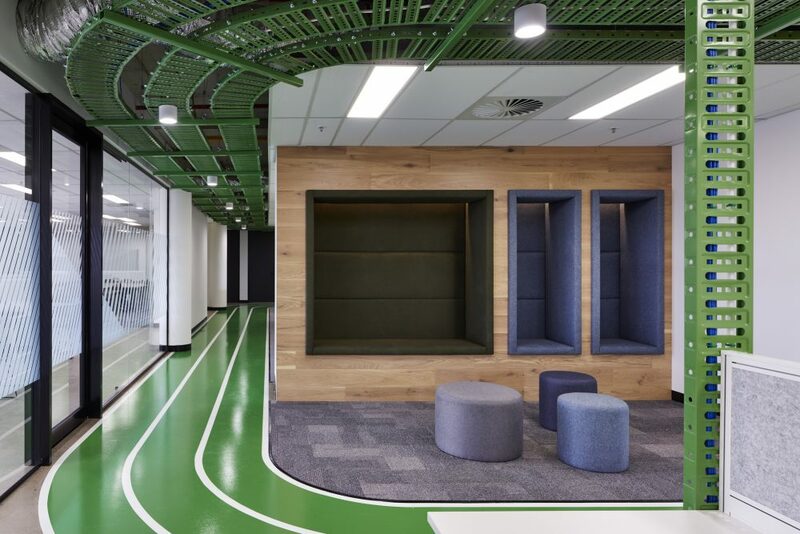 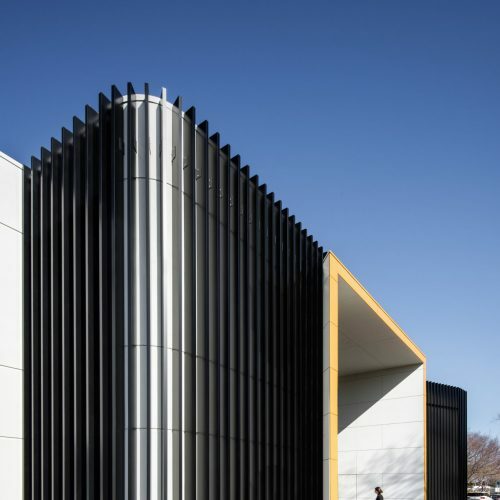 Connection and collaboration were the key drivers in delivering a space which fostered a fun and engaging working environment for this large IT Department. 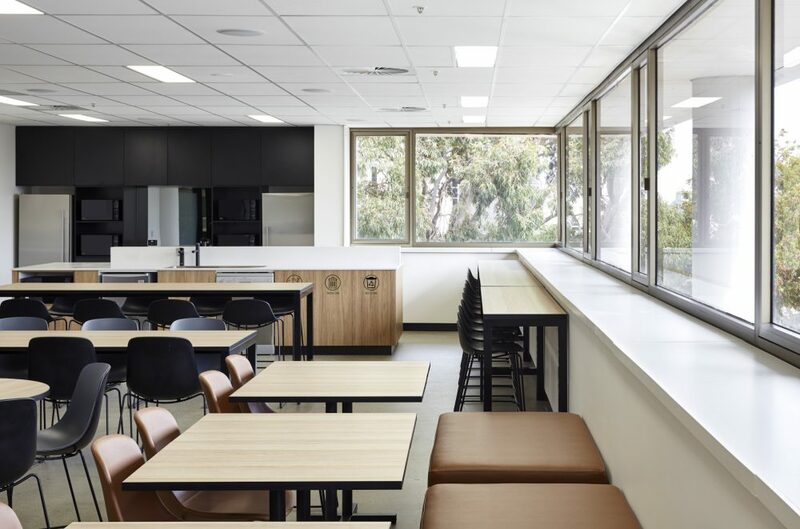 A balance was struck between open and enclosed spaces when accommodating 180 staff across two floors. 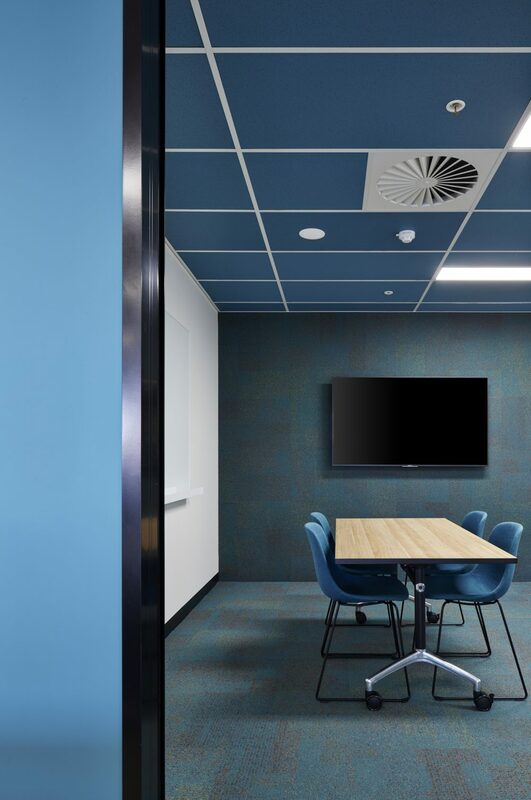 Staff are free to move between open work settings, break outs, and team huddle spaces to quiet and formal meeting spaces, providing an opportunity to seamlessly tailor their working day with spaces that suit. 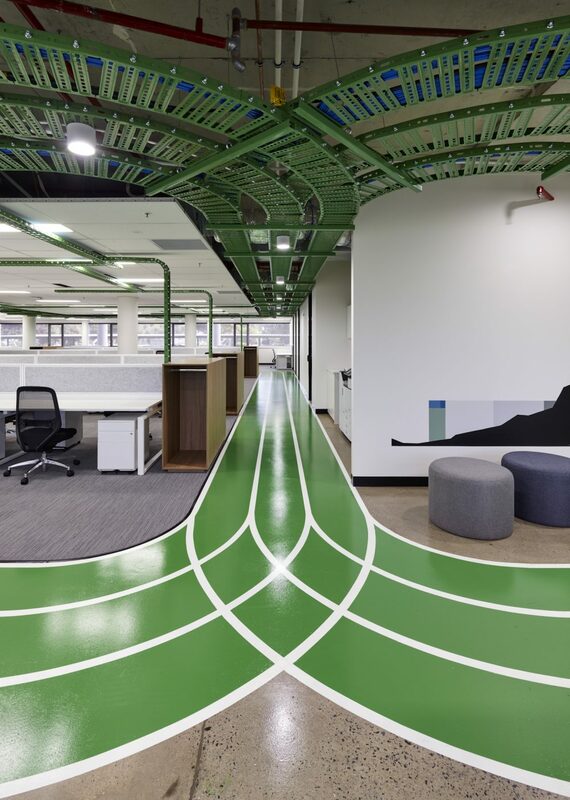 To encourage walking meetings and on-the-go collaboration a race track graphic was printed on the floor. 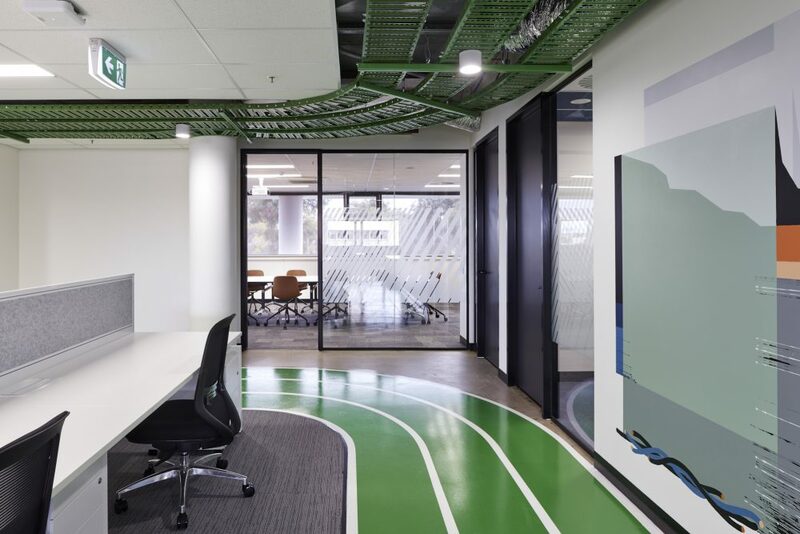 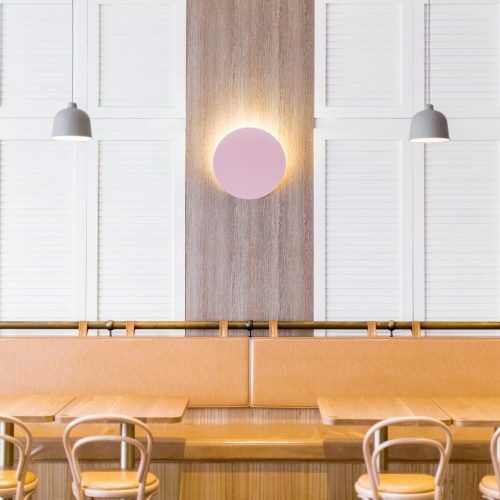 This light hearted element adds, colour, clarity and personality to the working environment. 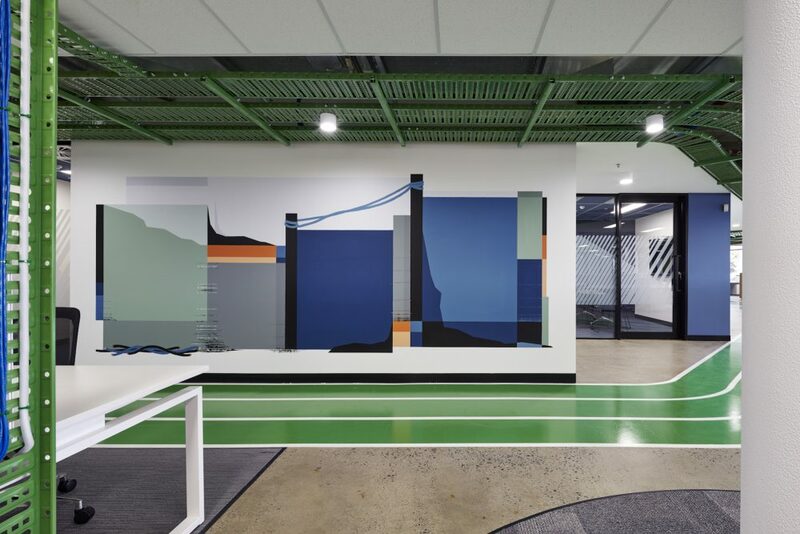 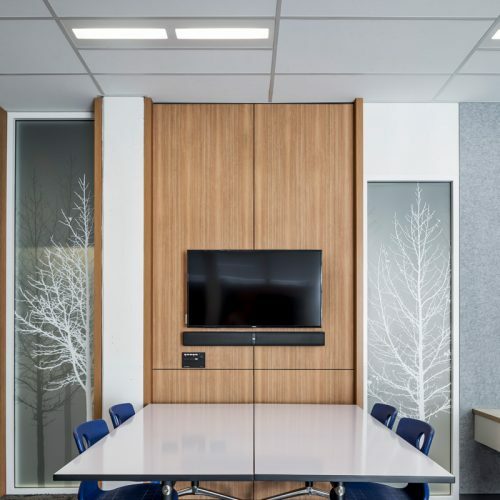 In collaboration with local artist Fortrose, Studio Nine incorporated commissioned artworks to enliven the workplace in a unique way. 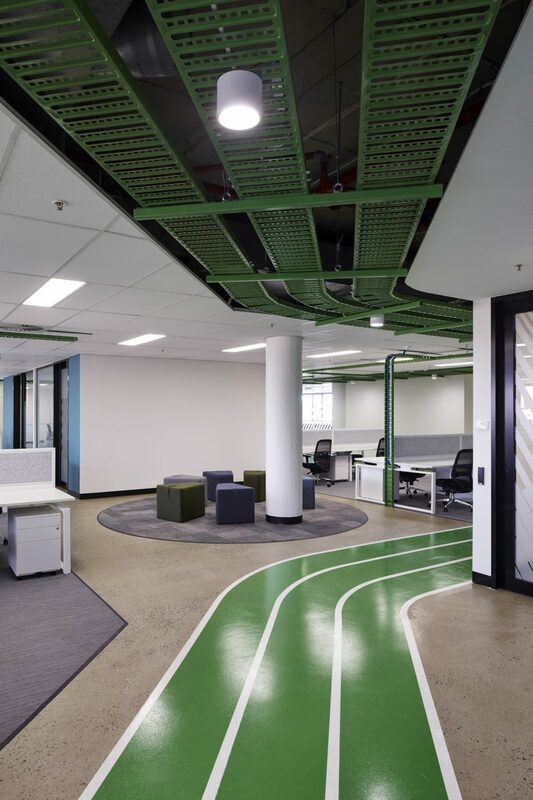 Blending the client’s corporate colours with the material palette, a series of ‘Digital Landscapes’ were created, expressing the client’s core services in a strong visual language.